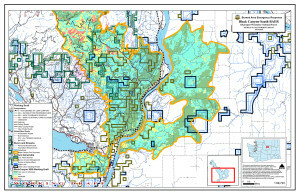 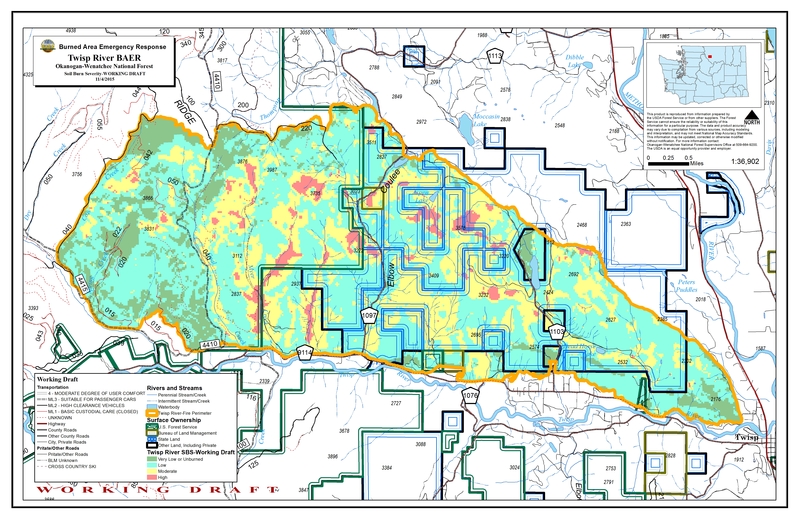 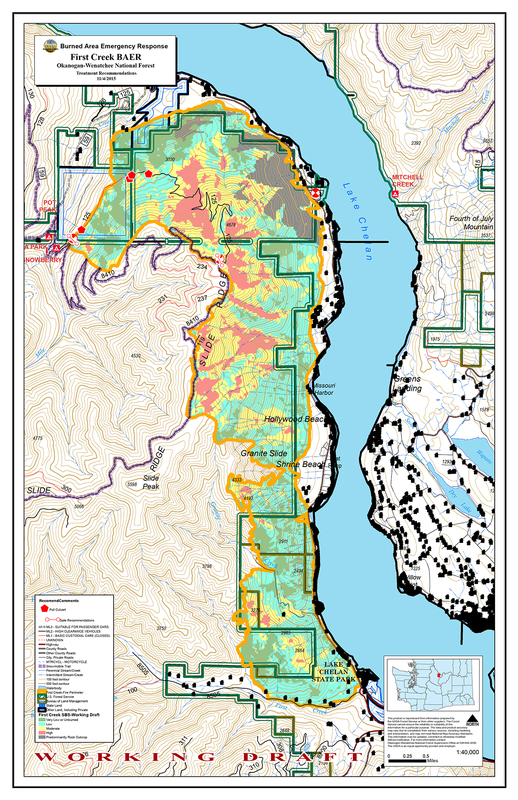 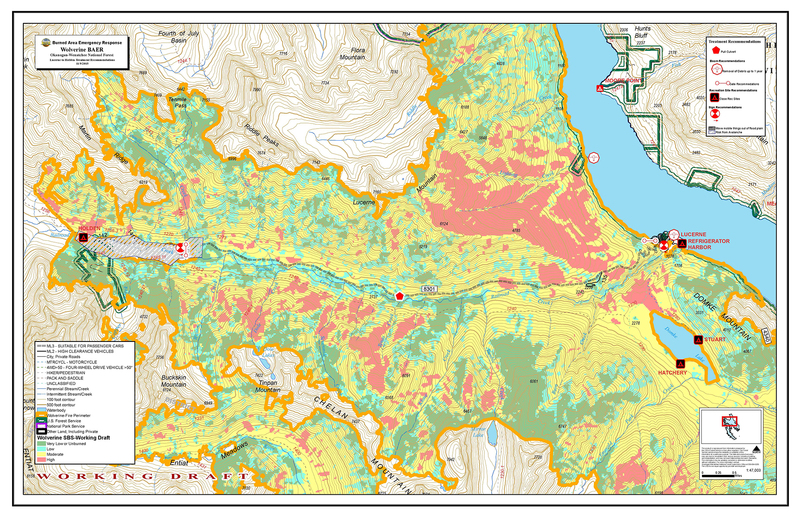 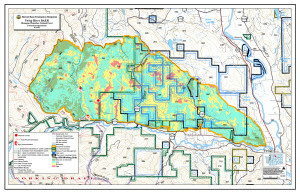 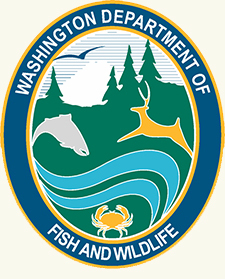 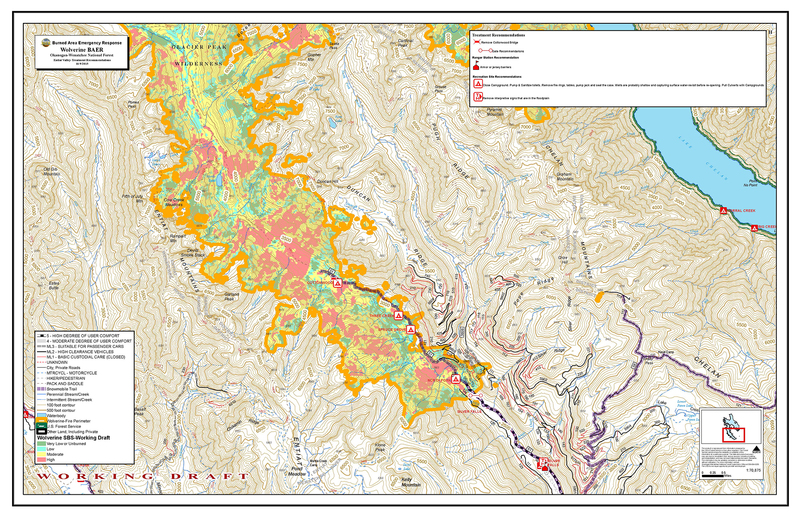 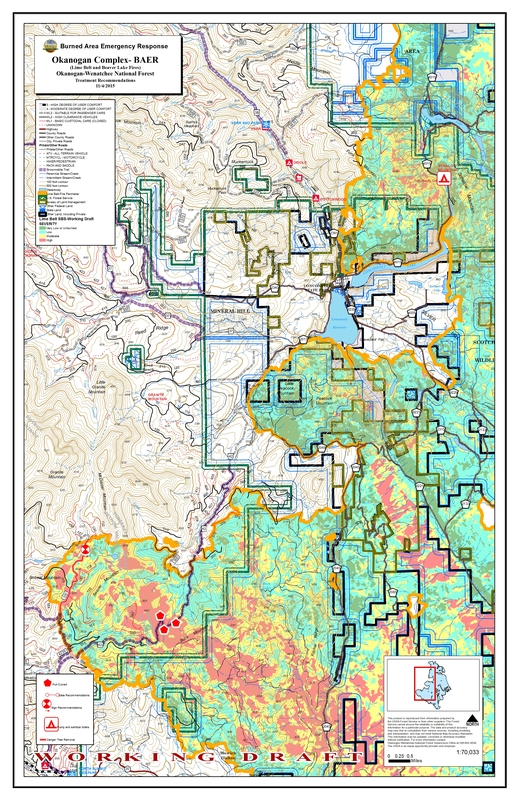 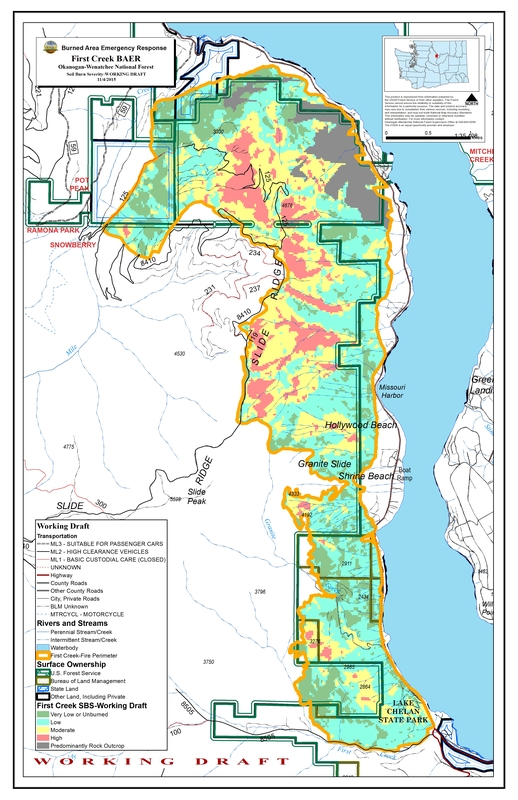 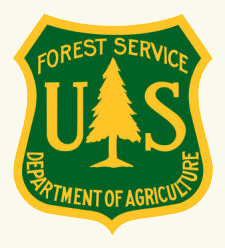 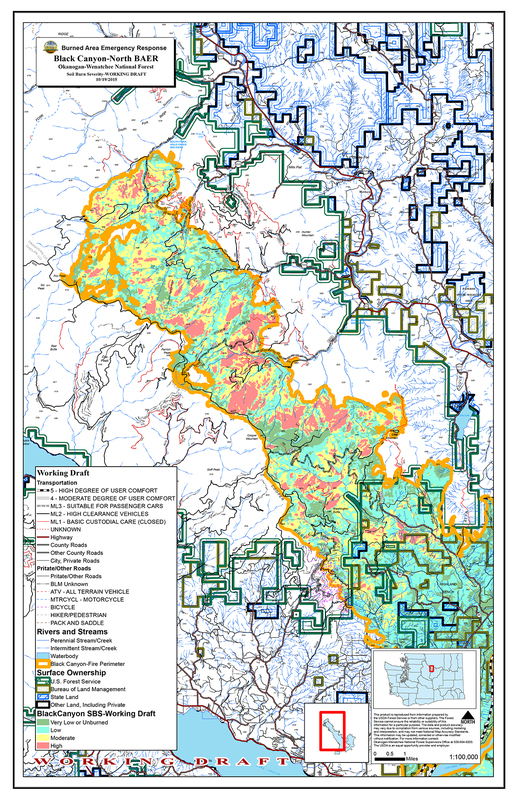 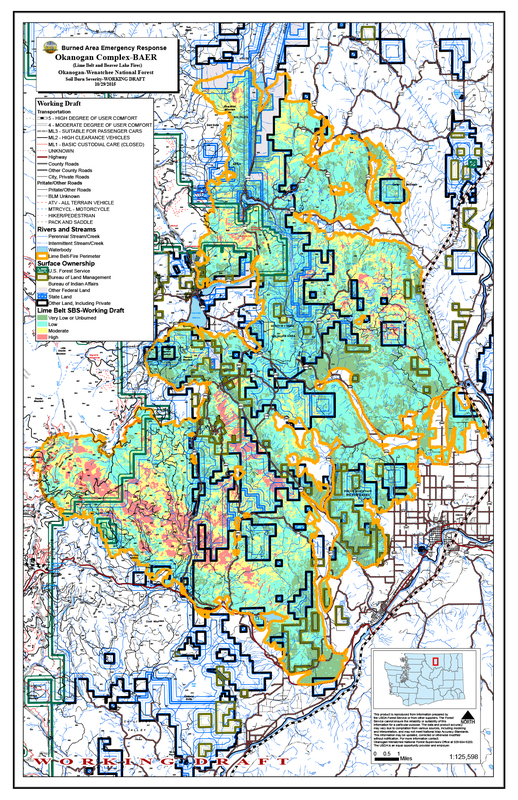 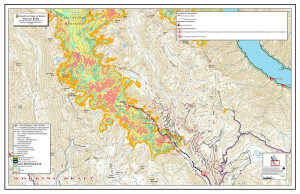 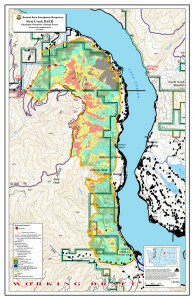 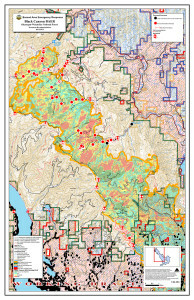 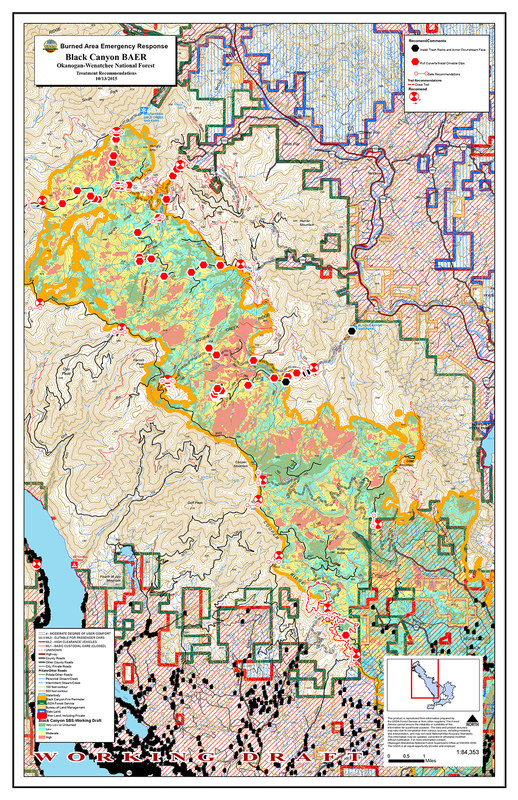 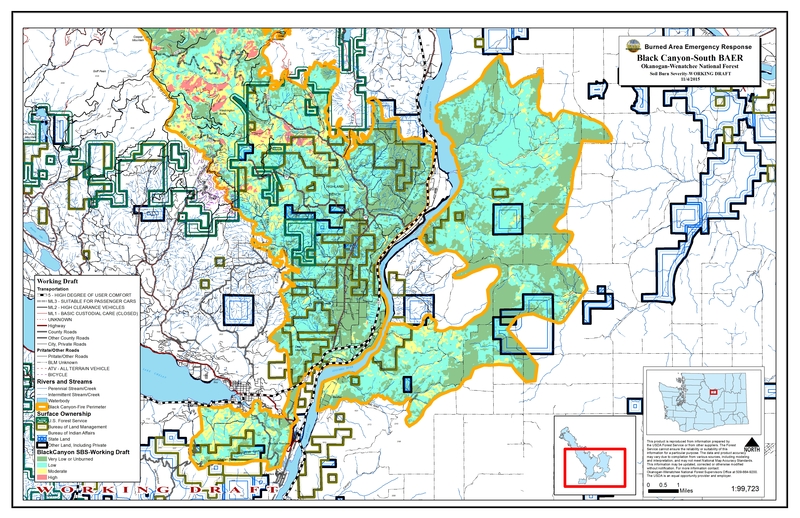 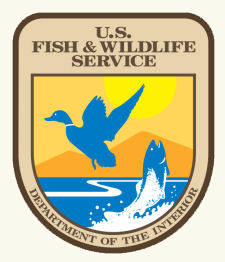 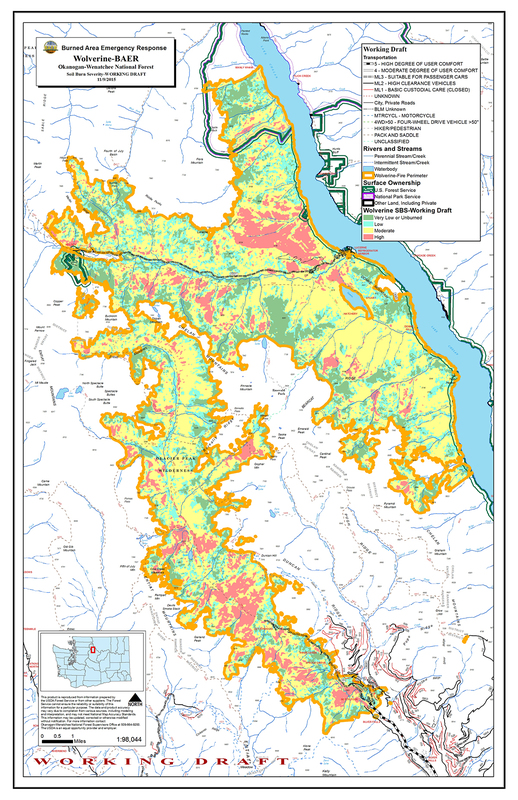 This page includes maps for each of the 2015 fires analyzed by the BAER team, with a Soil Burn Severity (SBS) map and a “treatment recommendations” map for each fire. 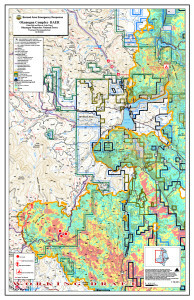 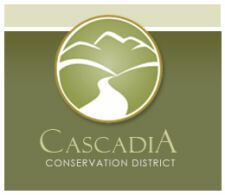 Additional maps will be posted to this page as they are finalized. 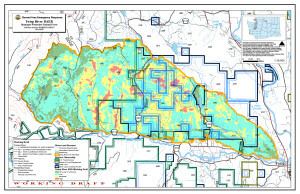 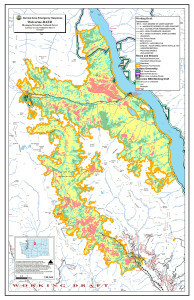 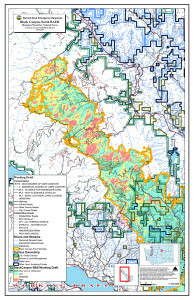 Maps here are sized for web use; click any map below for a larger version. 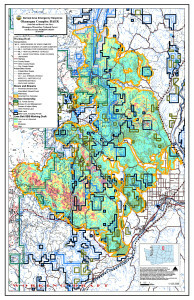 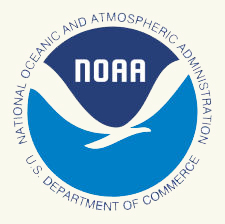 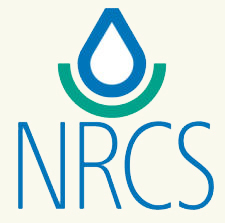 Original high-resolution maps are listed at the bottom of the page. 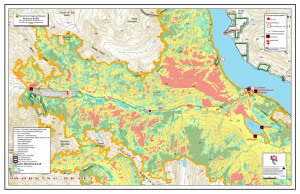 The maps listed below are all in JPG format and range from 7.9 to 18.7MB and may thus take a while to download on a slow internet connection.